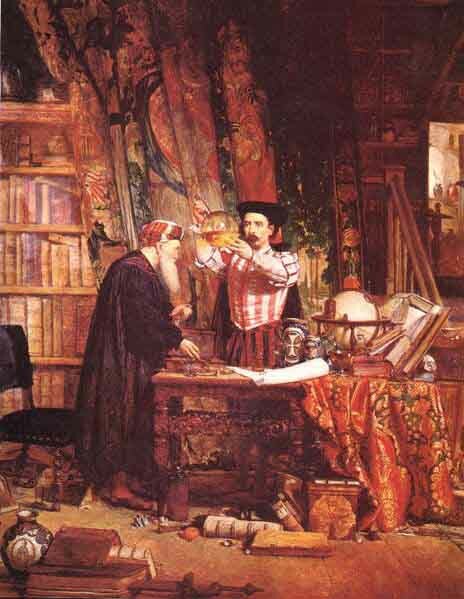 Alchemy was the precursor to modern chemistry. Alchemists were therefore chemists, pharmacologists, and physicians. Alchemy flourished in the Islamic world during the Middle Ages, and then in Europe from the 13th to the 18th centuries. We know the names of some of the better known alchemists thanks to the numerous alchemical manuscript and books that survived. It must be kept in mind however that the vast majority of ancient alchemists, being self-taught, and more bent on experimenting than writing, have left no trace in history.